When temperatures drop below what squirrels are comfortable with, it will drive them to seek warmer shelter. If they can gain access, these bushy critters will take up residence in your attic; it is safe, warm, and has perfect materials for them to make their nests. Before long, squirrels can have you attic ripped into sheds, causing damage to the structural and electrical parts of your home. Damages– While living in your home or walls, these critters will need a way to travel quickly from room to room in search of food and nesting materials. In order to do that, they have to create holes in your walls or roof, allowing elements from outside like foliage or even other critters to enter with ease. While the search for nesting materials, the can cause extensive damage to your attic by ripping insulation out of the walls and chewing electrical wires which create a severe fire hazard. 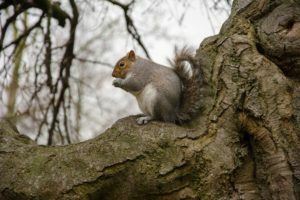 Noise– When squirrels move into your attic, they cause a great deal of noise scurrying around to find what they need. You don’t want to get woken up every night because of the scratching, clawing, ripping, and gnawing noises they make. 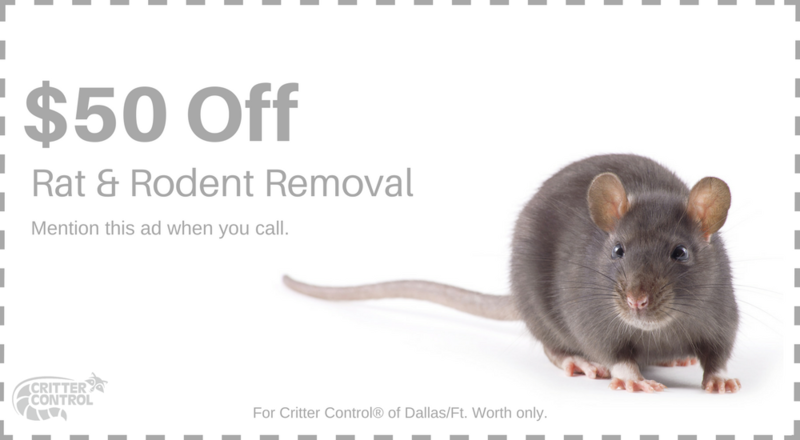 If you think you’ve got some unwanted critters in your attic, let the experts at Critter Control® Ft. Worth handle it. Our technicians are trained in safely removing all unwanted critters from your home, and making sure they are relocated to a better environment. We’ll also clean up after any messes they’ve made, and seal up any holes to be sure you never have to deal with an infestation again.